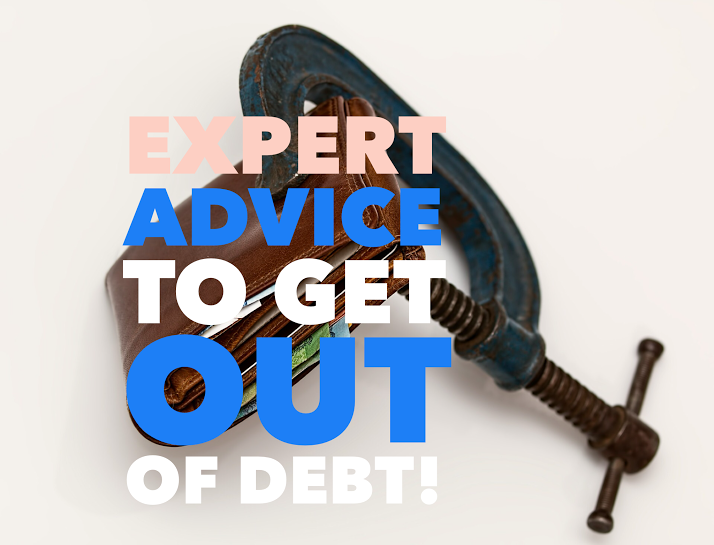 Expert Advice To Get Out Of Debt! If you’re one of the thousands of Americans who has committed to finally paying off your debt this year, then you might be wondering how to keep that promise to yourself. After all, people often build up debt not because they want to but because of unexpected life events, from an illness to job loss. The Nerd Wallet 2015 American Household Credit Card Debt Study, released last month, found that the average household has $15,355 of credit card debt (and $129,579 in total debt, including mortgages). Paying it off is not going to be easy. But it is possible. U.S. News asked four money experts to shed light on how to get it done. “Often people get the big goals, but they don’t have micro action steps. Every macro win requires 10 micro wins,” says Lisa Nichols, life coach, TV personality and author of the new book, “Abundance Now: Amplify Your Life & Achieve Prosperity Today.” Focusing on baby steps helps prevent the paralysis that can come from feeling overwhelmed, she adds. Develop a new revenue stream. “Most people only think about cutting expenses, which is necessary, but an abundant thinker spends more time growing their top line, too,” Nichols says. That might mean launching a side business helping friends organize their closets, for example. “With the money you make, write yourself a check and on the memo line, write, ‘funding my freedom’ — you write that a couple times, and, girl, you get real excited,” she says. If you’re paying off a lot of debt, it might take 18 months and not 90 days, Nichols points out. “Give yourself permission” to take the time you need, or else you could be setting yourself up for failure, she says. Fully commit to a debt-free life. “We have to start with our minds and decide it’s important and possible to get out of debt,” says DeForest B. Soaries Jr., senior pastor of First Baptist Church of Lincoln Gardens in Somerset, New Jersey, and author of “Say Yes to No Debt: 12 Steps to Financial Freedom.” He started helping members of his church become debt-free after noticing how many of them, including relatively affluent, high-earning members, struggled with debt. “Being in debt prevents us from having emergency funds, from accumulating wealth, and from a spiritual perspective, it speaks to a spiritual flaw, that we don’t have discipline and self-control,” he says. Back when Soaries was younger and routinely asked his father for money, his dad asked him where his paycheck was going. “I didn’t know — it doesn’t leave home when you’re sleeping,” he says. So he started tracking his spending by writing everything down, and he now encourages others to do the same. “You can literally give yourself a raise if you start by taking control of the money you have,” he says. You can sustain change by joining a money support group. “We work through church groups to celebrate each other’s victories and create positive peer pressure,” Soaries says. “If you don’t go to church, find one person to do this with. It’s harder to do by yourself.” Finding a friend who is also committed to paying off debt can make it easier to stick with your goals. Leslie Tayne, author of “Life & Debt” and a debt resolution attorney based in New York, often negotiates new, lower payments with lenders on behalf of her clients, who can’t keep up with their payments. Her typical client has $60,000 to $80,000 in credit card debt. “This time of year, our phones are ringing much more, and people are motivated to take a look at their finances and make a change,” she says. While sometimes her advice is as simple as canceling orders for big-ticket items that haven’t yet arrived, she also works out new payment plans. “Theoretically, you can try to do it on your own, but most people are not that successful with it. You don’t know whether the creditor is telling you accurate information, and you want to be careful because there are nuances when resolving debt. You want certain things in writing,” she says. Transfer balances to lower interest rate cards. If you are paying off debt on multiple credit cards with different interest rates, you can reduce your payments by transferring balances to the lowest interest rate card, or even taking out a 0 percent interest card if possible, suggests Lynn Pettus, partner and national director of employee financial services at Ernst & Young. (Just be sure to pay off the remaining debt before that 0 percent introductory rate expires.) “Make sure you don’t get more and more credit cards but consolidate,” Pettus says. Focus on credit card debt first. Unlike mortgage interest payments, credit card interest payments are not tax-deductible, Pettus points out, and they usually have a higher interest rate than student loans or mortgages. That makes paying off those credit cards a top priority. If you get a tax refund this year, consider putting that money toward the debt to get even closer to paying it off. Then, going forward, save up money in advance for big expenses, such as a vacation or holiday gifts, so you can avoid building up debt again, Pettus advises. After all, the easiest way to pay off credit card debt is to avoid it in the first place.